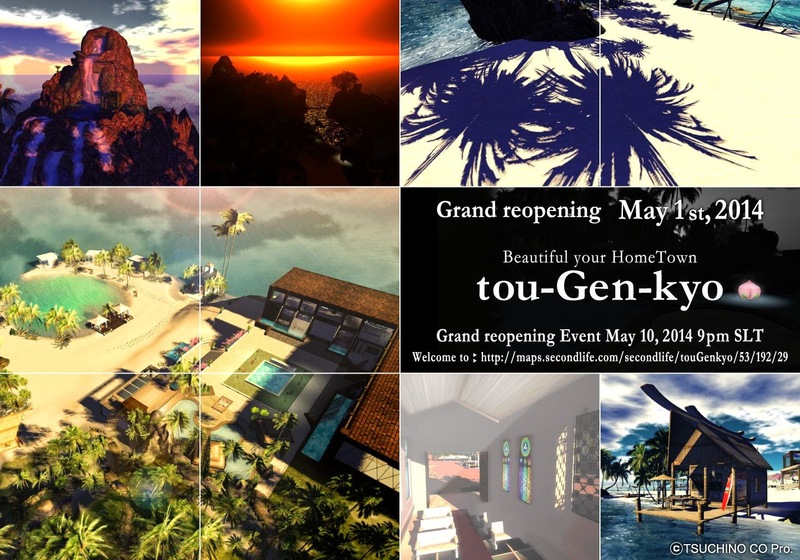 tou-Gen-kyo Official Blog: tou-Gen-kyo Grand reopening!!!!!!!! tGk　will be renewed and re-open on May 1st 2014. New tGk will be on the beautiful island of everlasting summer, where gays can enjoy themselves with his sweetheart, by himself or with gay-friends. Have fun on the beach, in the gym or pool, exploring jungle or cave, dancing at a club; or just relax in your private cottage. We also pride ourselves in the mall with high quality men’s shops. tGk is here for you to shop around and have fun and relax. Enjoy! big events are up coming! ◎7th Stamp Rally May 1th~ May 31th!!! !